The Datsun GO is Datsun’s first model since its resurrection. Target market for the GO is mainly for emerging markets, which includes India, Indonesia and South Africa. The Datsun GO was launched in March 2014 and the chassis is derived from the Nissan Micra. The GO is powered by a 3 pot engine, producing a puny 67 hp. Recently. 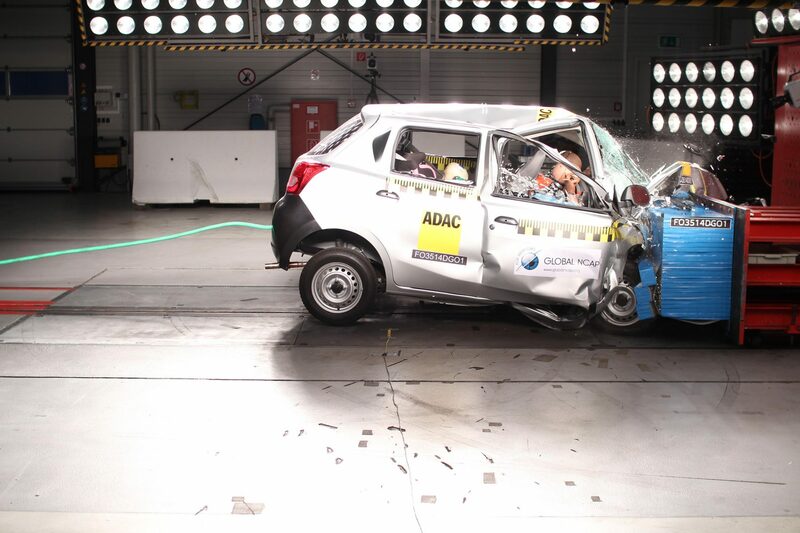 Global NCAP tested the Datsun GO, and rather surprisingly it scored zero stars for the front passengers. The GO’s structural integrity is so weak, that the whole front end of the car collapsed upon impact. Airbags? With a structure so weak, it totally defies the need of airbags. Other than the Datsun GO, other cars like the Tata Nano, Maruti Suzuki Alto 800, Ford Figo and the Hyundai i10 also famously scored zero stars. Volkswagen then fitted 2 airbags as standard for the Indian market, which then Global NCAP gave the car a 4 star crash test rating. Not cool Datsun, not cool at all, considering that you were dead since 1986. Not a nice way to re-enter the market.